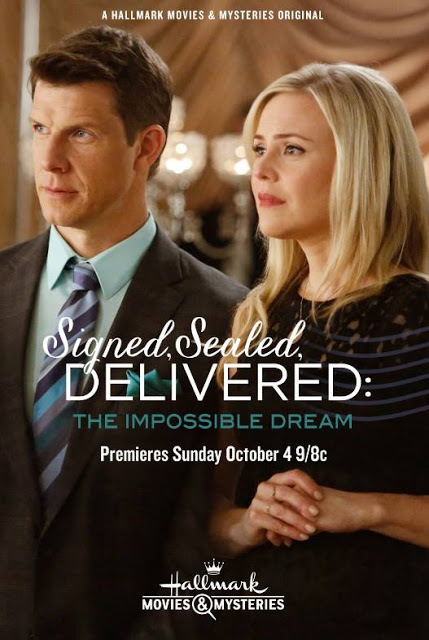 The Postables (Eric Mabius, Kristin Booth, Crystal Lowe and Geoff Gustafson) work against the clock decoding a letter to rescue a soldier and reunite her with her family, while Rita competes for the National Miss Special Delivery title in Washington, D.C. Here is a trailer for Signed Sealed Delivered: The Impossible Dream. The 6-part mini-series Homes Fires will debut on PBS on October 4 at 8 PM. In August 1939, war with Germany is all but certain. While citizens of the isolated village of Great Paxford each face the prospect of war in their own way, all agree that they must do everything they can to hold their village—and their nation—together. But when the value of the largely social group, The Women’s Institute, is called into question, forward-thinking Frances Barden (Samantha Bond from Downton Abbey) and snobbish Joyce Cameron (Francesca Annis from Cranford) clash over the fate of the Institute and the roles its members can play, far from the front. NOTE: The mini-series will air from October 4 through November 8. Here is a trailer for Home Fires. 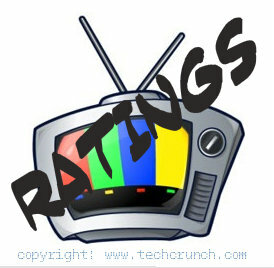 It was a pretty busy night of TV last night on the major networks with plenty of new episodes – it is only the second week of the new season after all – and the return of a fan favorite. On October 3, the movie Fan Girl will debut on ABC Family at 9 PM. Telulah Farrow (Kiernan Shipka from Mad Men) is 15, sarcastic and obsessed with only two things in life: the pop rock band All Time Low and becoming a filmmaker. Her biggest problems of the moment are coming up with a killer final-film project for school and dealing with her mom Mary’s (Meg Ryan) newfound love of social media. A source of contention between the two, Telulah doesn’t understand that Mary has immersed herself wholeheartedly in that world simply in the hopes of being included in her daughter’s life. But as it turns out, Mary’s newfound social media savvy has its unexpected perks when she reconnects with an old acquaintance with a big connection to All Time Low. Telulah’s whole life changes in one night when she gets a once-in-a-lifetime chance to see her music idols in concert; this is the perfect chance to combine both her passions, make a movie about All Time Low and have a real shot at winning the film competition. Along with sassy sidekick Jamie and underachieving, highly energetic film-class-partner Darvan, Telulah goes after what she wants and learns a little about life, family and herself along the way. Here is a trailer for Fan Girl. The Hallmark Channel movie Autumn Dreams will debut on October 3 at 9 PM. 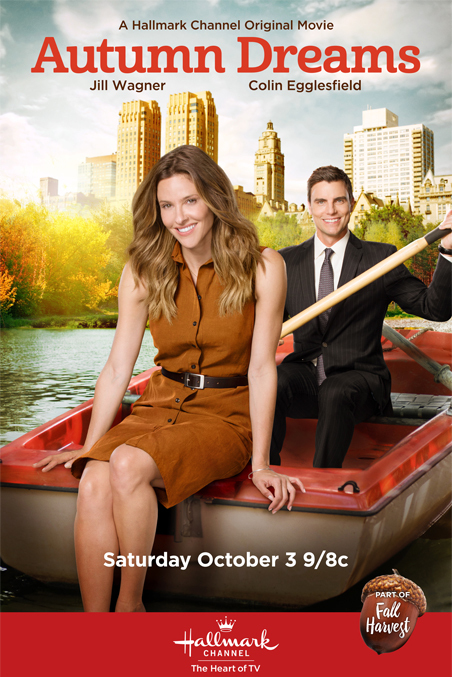 Young and madly in love, Annie (Jill Wagner from Teen Wolf) and Ben (Colin Egglesfield from Rizzoli & Isles and The Client List) run away from her family farm and elope, but the marriage ends before it can begin when her parents have it immediately annulled. Years later they discover a paperwork glitch which means they’re still husband and wife — big problem since they’re both about to marry other people! While the clock ticks away toward their respective weddings, the sparks fly as they’re forced to re-unite to make their divorce legal. Here is a trailer for Autumn Dreams. The second week of the fall TV season got underway last night with a full schedule of programming on the major networks.